Sardonyx. Early 1st century. 4.4 × 3.5 cm. Saint Petersburg, The State Hermitage MuseumInv. No. Ж 335. 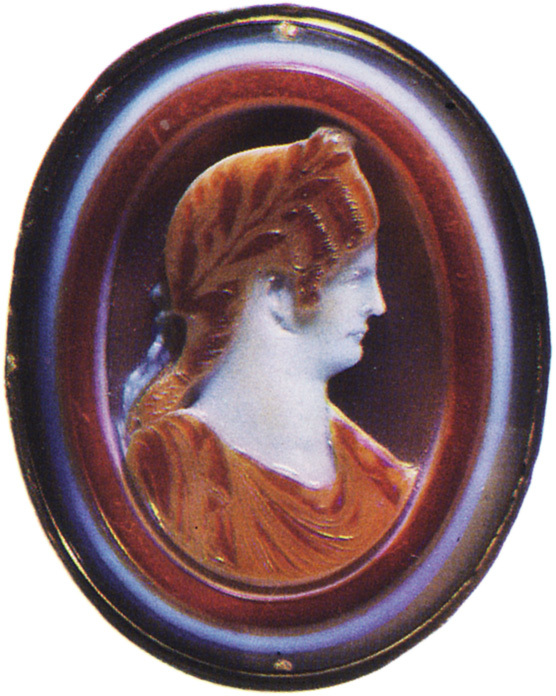 Agrippina the Younger, the daughter of Germanicus. Sardonyx. Early 1st century. 4.4 × 3.5 cm.